I love cornbread, especially when it's sweet! 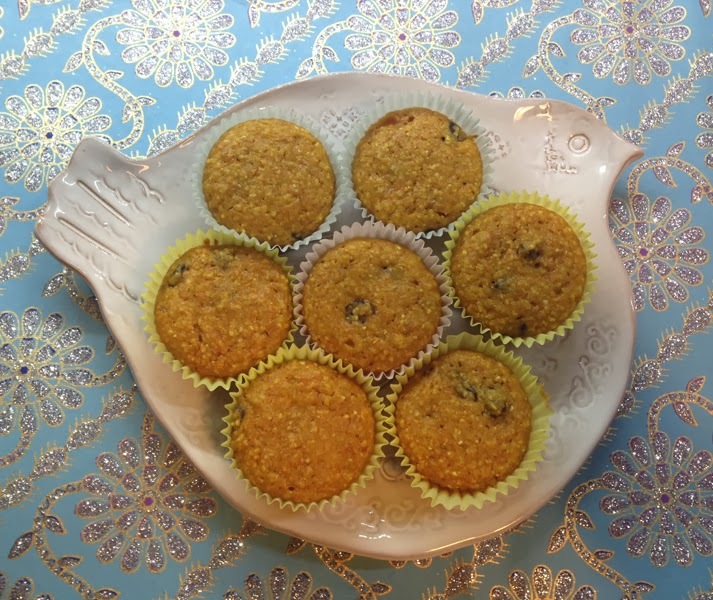 I whipped up these muffins this afternoon, inspired by some of my sweet bread recipes. They would be great for breakfast, a snack or with dinner. We always had corn muffins with chili growing up and for me it was like having dessert for dinner! There are endless combinations and I'd love to hear some of your favorite ways to enjoy cornbread...please leave me a comment. Enjoy! To roast sweet potatoes, peel and chop them into 1/2 cubes. Line baking sheet with foil and arrange sweet potatoes in a single layer and coat with olive oil spray. Roast at 425° for 35 minutes until tender and browned. Cool completely. Whisk together flour, cornmeal, salt, & baking soda in a medium mixing bowl. Set aside. Using a Kitchenaid mixer or hand mixer, combine sugar, maple syrup, sweet potatoes, buttermilk, eggs, oil, and applesauce; mix well. Pour batter into muffin cups lined with paper baking cups. Bake for 15-18 min or until toothpick comes out clean.